What Should I Tell My Child About Neuropsychological Testing? quite intuitive and know a lot more than we often give them credit for. I would first have parents ask the child general questions (it is important to do this, even if they already know the answers since this serves to prime the child’s memory): any combination of the below questions might serve to help guide the child. Once the child admits to one or more of the questions, it is then appropriate to explain that the purpose of testing or therapy is to help address the specific issues and make school more enjoyable. After the child understands the purpose for the testing or therapy, it is always important to explain to him or her what the actual session will look like. I always advise parents to ask the individual that will be working with your child lots of questions. Find out who will be doing the work, where will the work take place, how long would the child be there, are there breaks available, and what will the child actually be doing. The goal is that the child will be ready for testing or therapy and have a basic idea of what to expect. 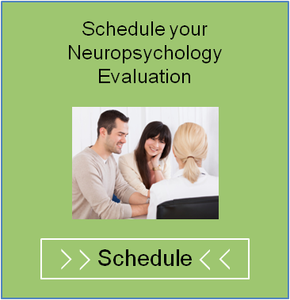 Click here for a guide to understanding Neuropsychological Test Results. https://nspt4kids.com/wp-content/uploads/2015/04/NP-Testing-FeaturedImage.png 186 183 Dr. Greg Stasi https://nspt4kids.com/wp-content/uploads/2016/05/nspt_2-color-logo_noclaims.png Dr. Greg Stasi2015-04-15 05:36:112015-04-15 05:36:11What Should I Tell My Child About Neuropsychological Testing?